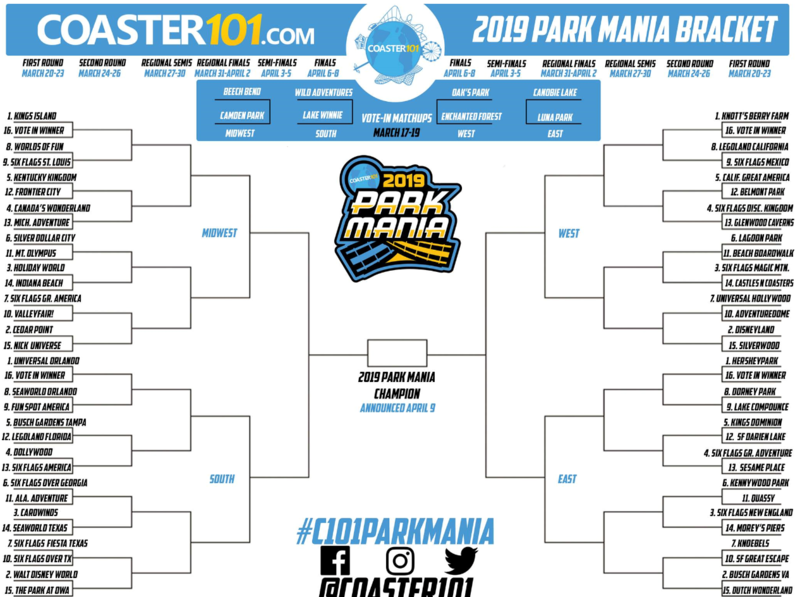 Coaster101.com is at it again with 2019's Park Mania. Lagoon is up against Beach Boardwalk. I wonder how far Lagoon will make it this year. Maybe Silverwood will win it again like it did 2 years ago. We shall see. I'm not much of a sports fan but this kind of bracket I like to follow. No need to take this too seriously, its just for fun. Enjoy! Round One's Voting is now open! Which park is the favorite to run away with the whole thing this year? (03-21-2019, 06:26 AM)ClarenceR Wrote: Which park is the favorite to run away with the whole thing this year? None that I've heard. Maybe Lagoon will make it past round two this year? (03-21-2019, 08:46 AM)UtahCoasterEnth Wrote: None that I've heard. Maybe Lagoon will make it past round two this year? We can always hope (and let's face it - wouldn't it be totally awesome if Lagoon actually won it all?). I know I'm planning on doing my part. First round voting is over. Silverwood is out but being faced against Disneyland was a bit unfair. Lagoon has moved on to Round 2 but is now up against Magic Mountain. Can u add the poll so we can vote for round 2? (03-26-2019, 05:25 PM)Spy Hunter Wrote: Can u add the poll so we can vote for round 2? A poll here wouldnt do much as for the vote to count you have to vote on their site.